Our football seasons used to consist of tailgating and traveling to games but now that we have little ones we have just as much fun homegating! We love to get together with our friends every week to watch the games of the week and cheer on our favorite teams. 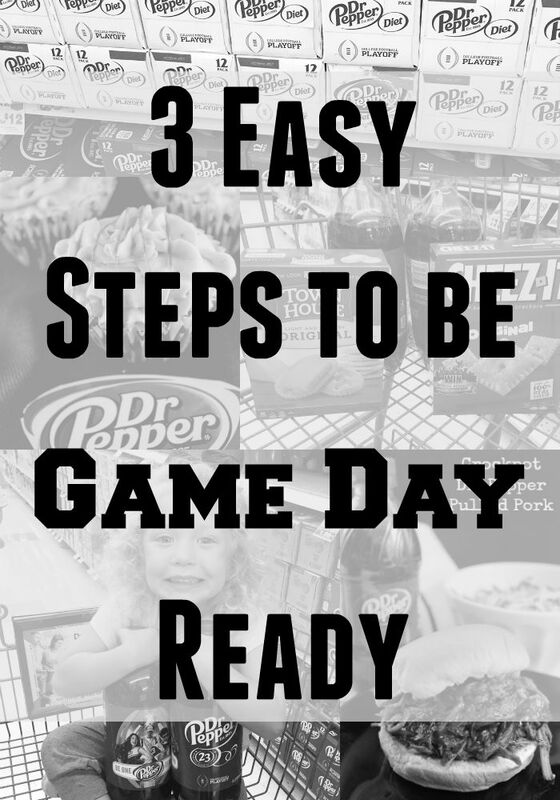 Today we are going to share with you 3 Easy Steps to be Game Day Ready for your next homegating party! The best advice I give for tailgating at home is to stock up! 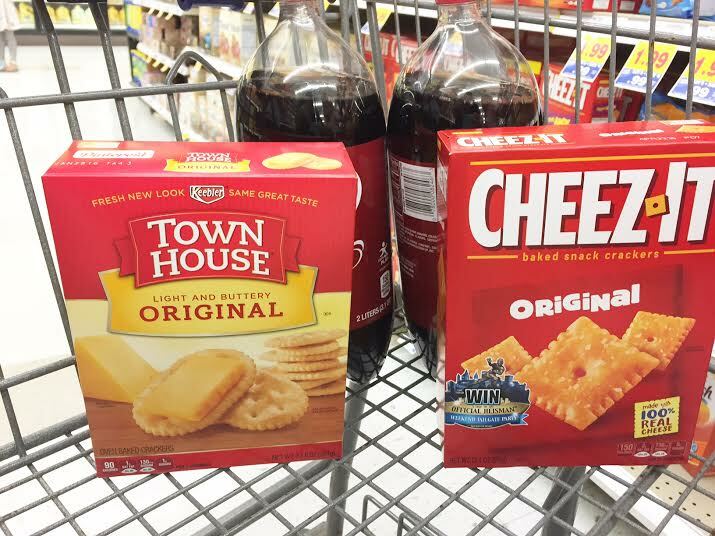 Do like I did and head to Kroger for everything you will need to be game day ready. 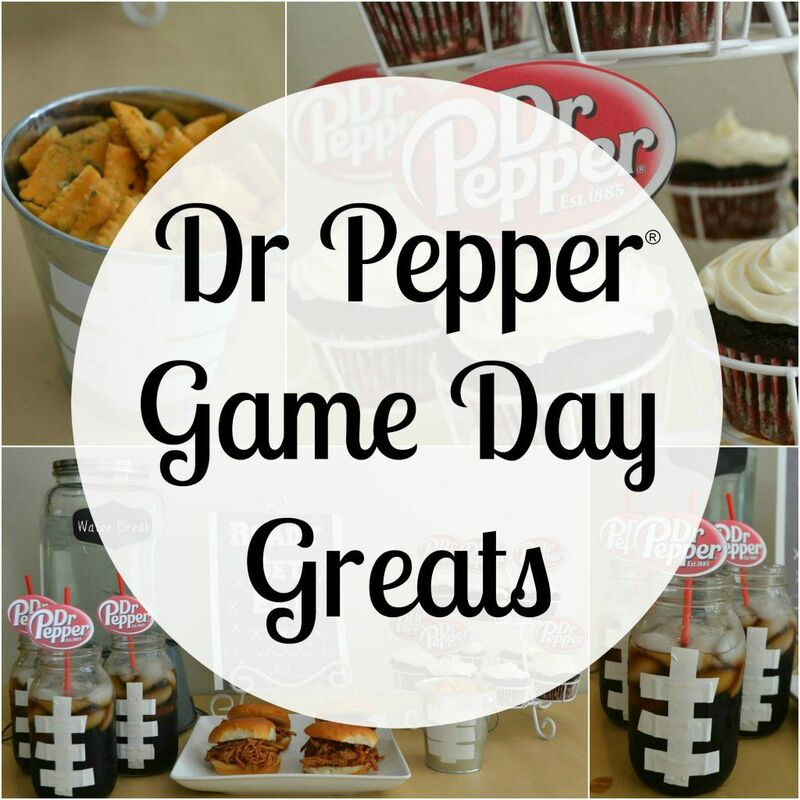 Did you know that Kroger and Dr Pepper® have partnered up and have an entire line of Game Day Greats for this college football season? I always like to make sure I have staples on hand just in case I do not have time to run to the store. 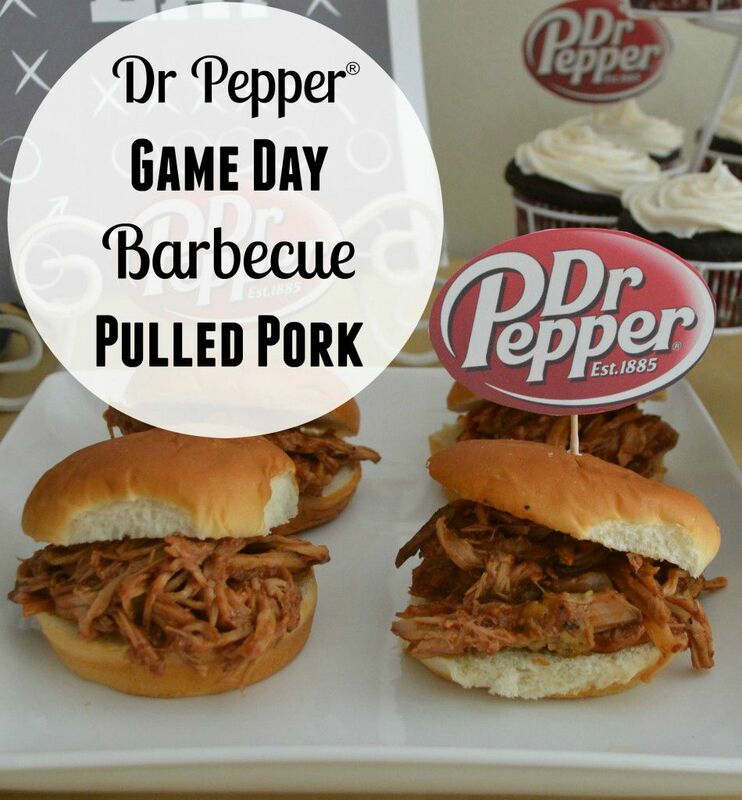 Because the Dr Pepper® Pulled Pork is a fave I always like to have Dr Pepper® on hand. I also like to have crackers, chips and dip mixes stocked up and ready to go. And while you are shopping, check out there in-store sweepstakes with Miller Coors®/Kellogg’s®/Dr Pepper® for fly away trips to Rivalry Games! How awesome is that? If you are anything like me any party you throw must contain decor. I love creating my own decorations and will save them for later parties. Tailgating parties are no different. 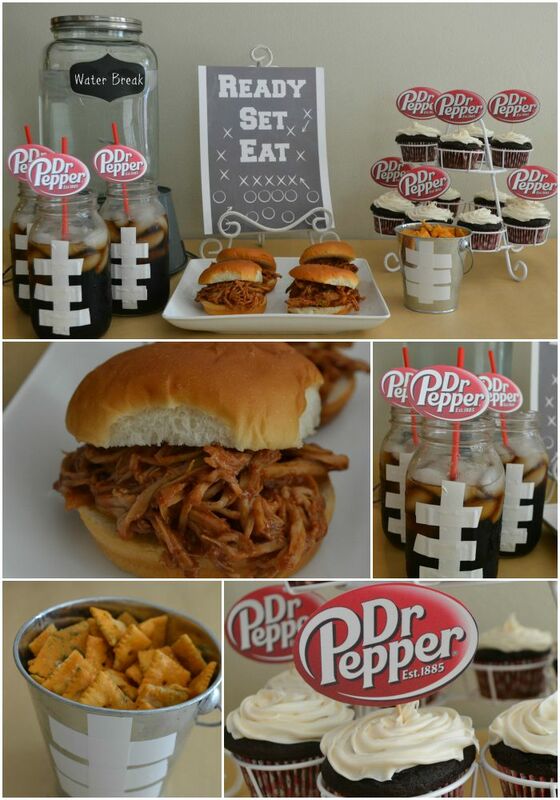 Head to Pinterest like I do about 20 million times a day and find some great ideas for your football parties this year. Be sure to find quick and easy ideas that you can make ahead of time and will store easily. I like having food that is easy to grab so we are not missing out on all of the action and these Game Day Greats were perfect! We enjoyed Dr Pepper® Chocolate Cupcakes, spiced Cheez-Its®, Dr Pepper® Barbecue Pulled Pork and a large glass of Dr Pepper® to wash it all down. Although all of our food was a hit, the Barbecue Pulled Pork has quickly become a fave around our house! Not only is it delicious but it is one of the easiest recipes I have ever made. That is a win win for sure! Here’s how you can make it for your next homegate! Using your favorite pork rub, cover your pork loin and pat seasoning in. Place your seasoned pork loin into your slow cooker. Pour 12 oz. of Dr Pepper® over your pork loin. Cover and cook on low for 10-12 hours. Once your pork cooks remove and shred. You will know it is ready when it shreds very easily. Drain your slow cooker and then place your pork loin back into the slow cooker. Pour your barbecue sauce over the pork (I used the entire bottle) and mix well. Let heat through again and serve. We love serving our barbecue with sweet Hawaiian rolls. Yum, so delicious! What are some of your favorite go to recipes and ideas to make your game day celebrations a hit?